Find cash and derivatives instruments on any exchange, with their appropriate contract IDs. 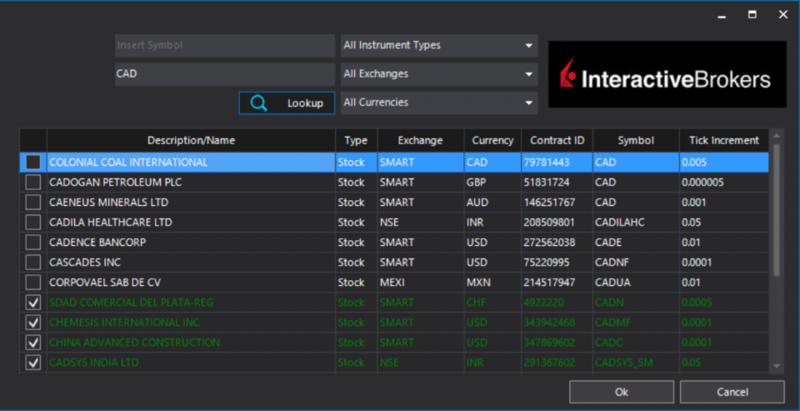 Interactive Brokers has a unique symbol nomenclature whereas each instrument is assigned a unique internal ID, also known as contract ID – or in short con ID. 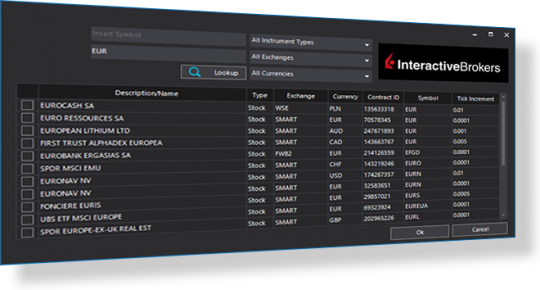 You can use the IB symbol search utility to retrieve contract IDs for any cash or derivative instruments, for any contract expiry month and on any market or exchange around the world. Our platform’s IB symbol search utility is plugged via the IB API and returns results that are similar with that of IB’s own web-based symbol search utility. 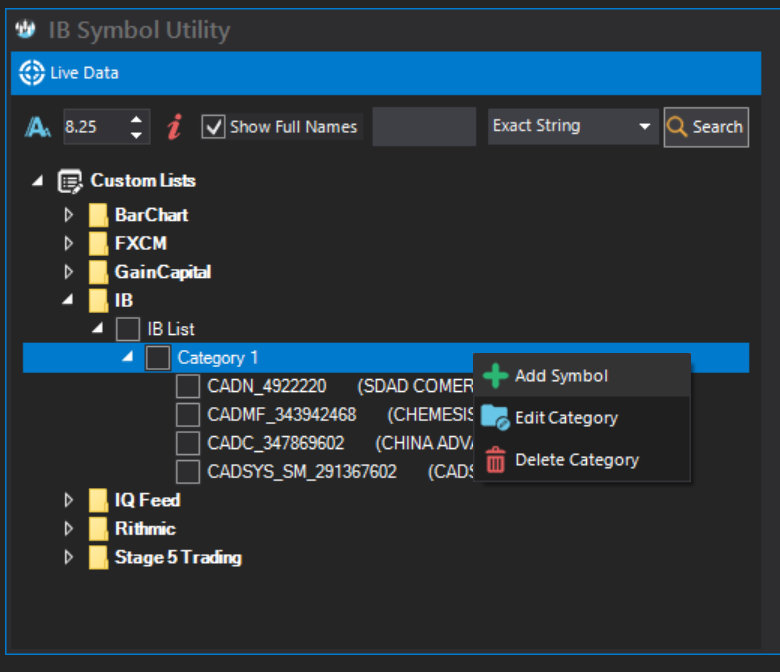 The advantage of using our platform’s IB symbol search utility is that any results returned from a search can be very easily attached to custom symbol lists with one click.